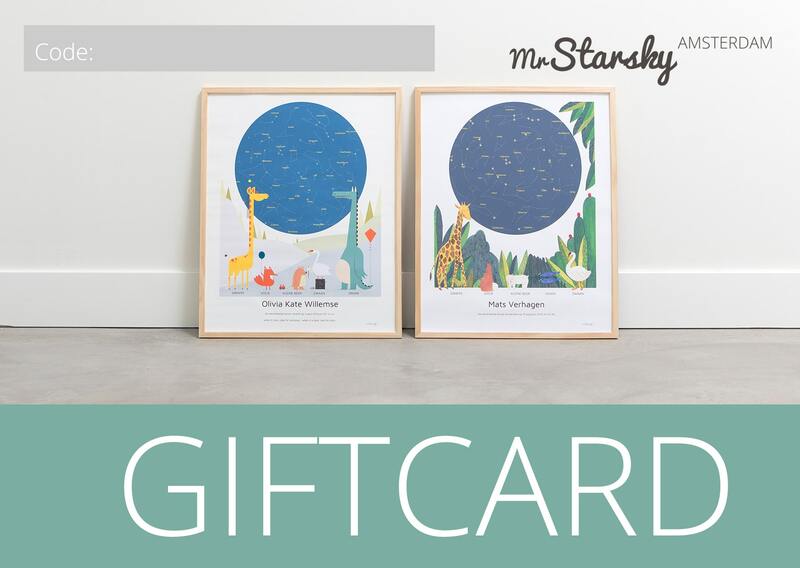 A MrStarskyAmsterdam giftcard allows the recipient to create a poster in our webshop herself/himself. So a prefect birthday or baby gift! And also ideal to surprise a mother-to-be at her babyshower or other festive event prior to giving birth. 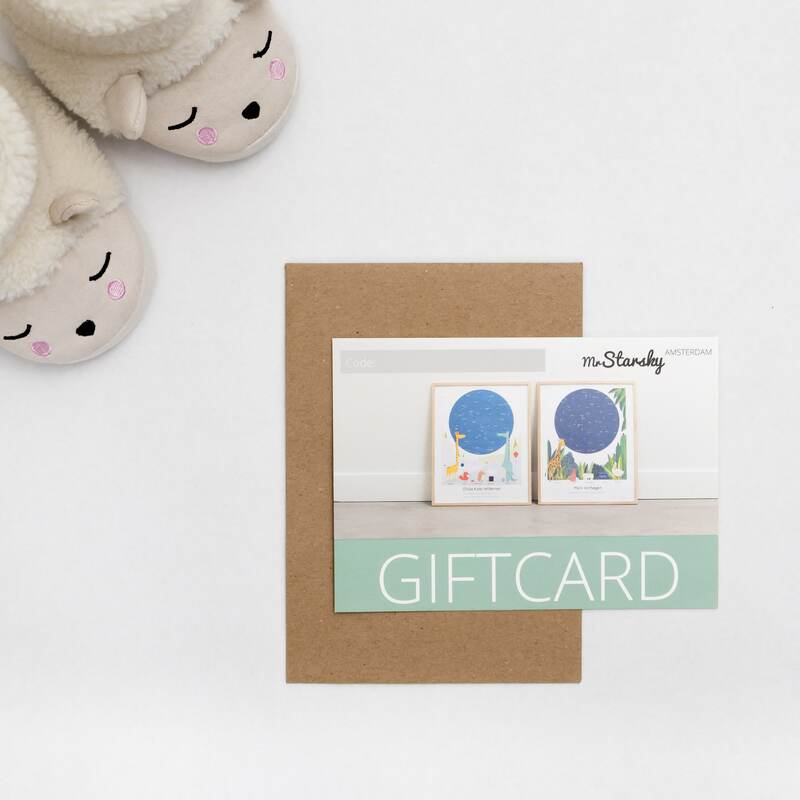 The giftcard is available in every size of our poster (30×40, 40×50 and 50×70). For shipping our prints we ask a shipment contribution. This contribution will also be calculated for the giftcard and will be added in the checkout. That way the recipient can order a print fully free of any charge.